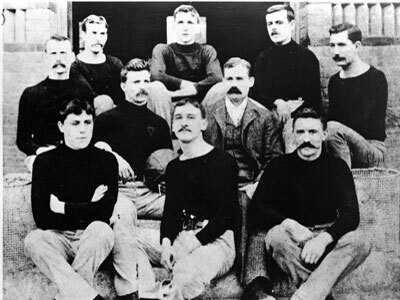 Here's a photo of the first basketball team ever. That's Dr. Naismith in the middle row wearing the suit. I was the one taking the picture. All times are GMT -5. The time now is 02:56am.